Master the basics of vanilla ice cream, and the possibilities for an endless number of chilly varieties become possible. 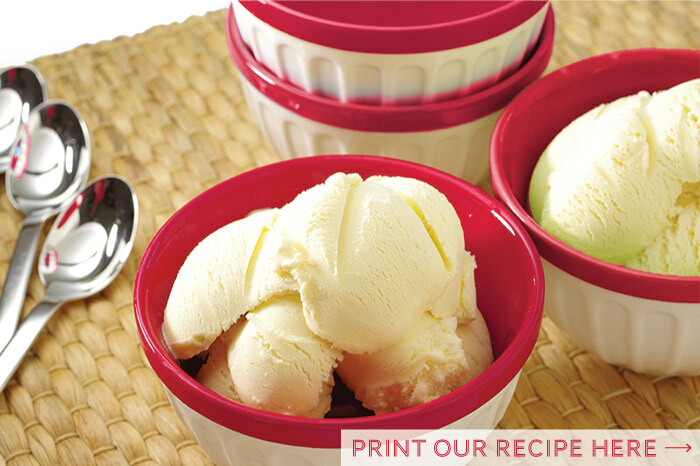 And, homemade ice cream is simply the best – no preservatives, no shortcuts, no subpar ingredients with off flavors. Made fresh, your own ice cream is just that, fresh tasting. There are so few ingredients in ice cream, make quality choices; the difference will be noticeable in the results. 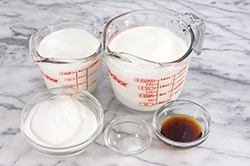 This particular version of a vanilla ice cream base does not require cooking (like custard ice cream bases that use eggs). Get your spoons ready; a remarkably delicious treat is ahead! 1. 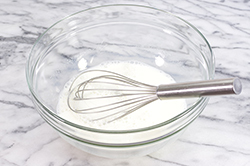 In a medium bowl, whisk together the milk, sugar, and salt and stir until the sugar has dissolved completely. 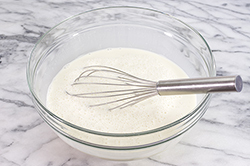 Add the cream and vanilla, and whisk to combine. 3. 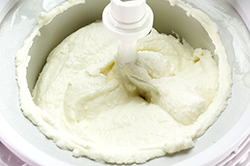 Follow the manufacturer’s instructions for your ice cream maker. For ice cream makers that use a pre-frozen insert, ensure that the insert is frozen well, that is, has been in the freezer chilling for 24 hours. 5. Cover the top of the ice cream with plastic wrap that’s placed directly on the surface of the ice cream. 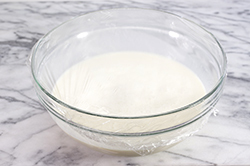 Apply the container’s lid, place in the freezer, and allow the ice cream to “ripen” or completely freeze for approximately 4 hours. Serve and enjoy.